Timeless beads, elegant and tactile, the melon bead was the favourite of many cultures. The Egyptians loved the shape and made them in turquoise-blue faience, the Romans liked theirs in turquoise-blue or cobalt, they appear in a variety of other colours too but they're the most popular style of bead for many times and places. These glass reproductions of melon beads are approximately 8x12mm with a 2.2mm hole. 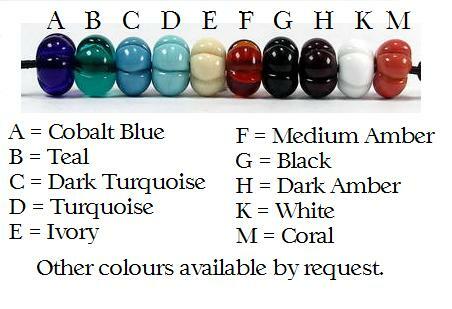 As the beads are individually handmade, they will vary slightly. Please choose your colour from the menu below.